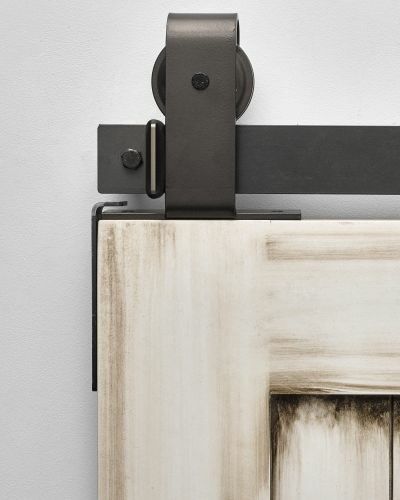 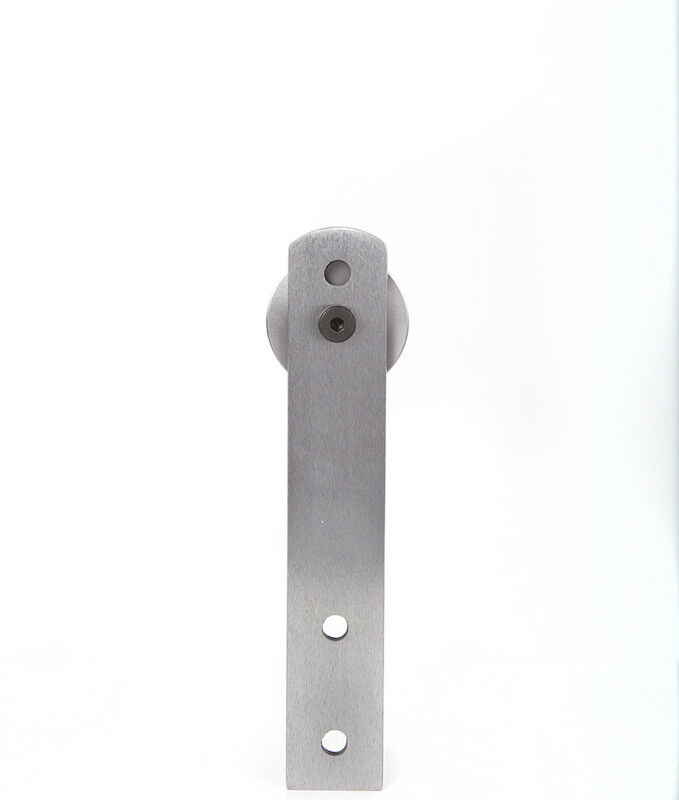 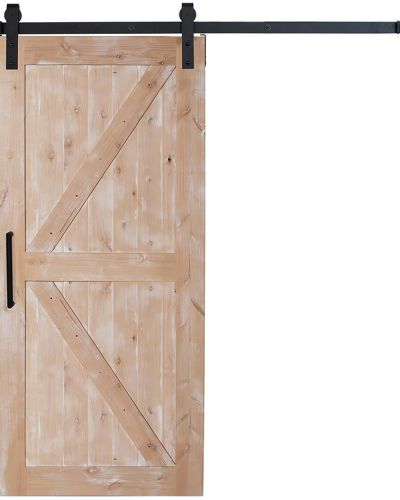 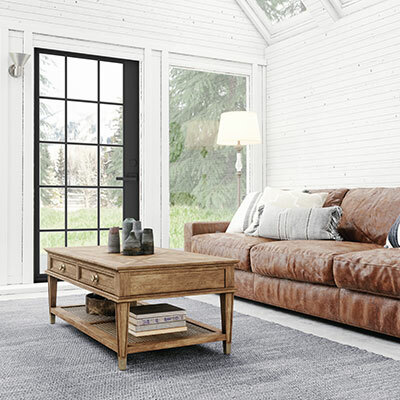 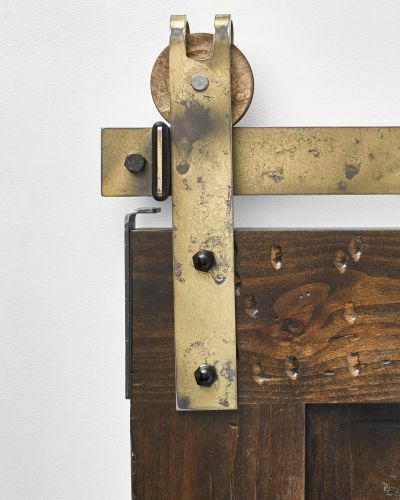 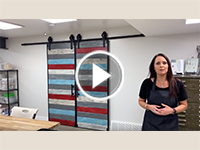 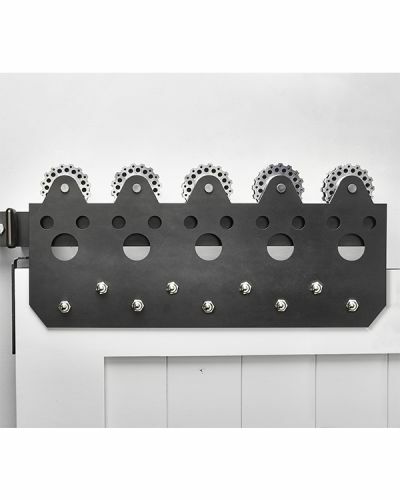 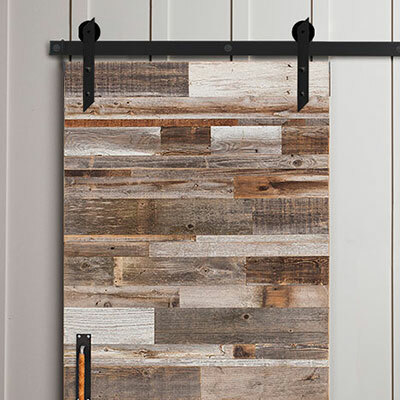 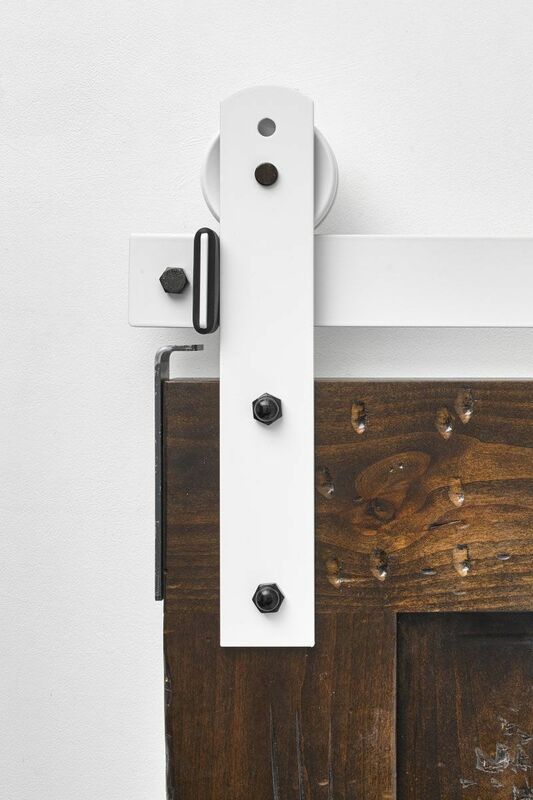 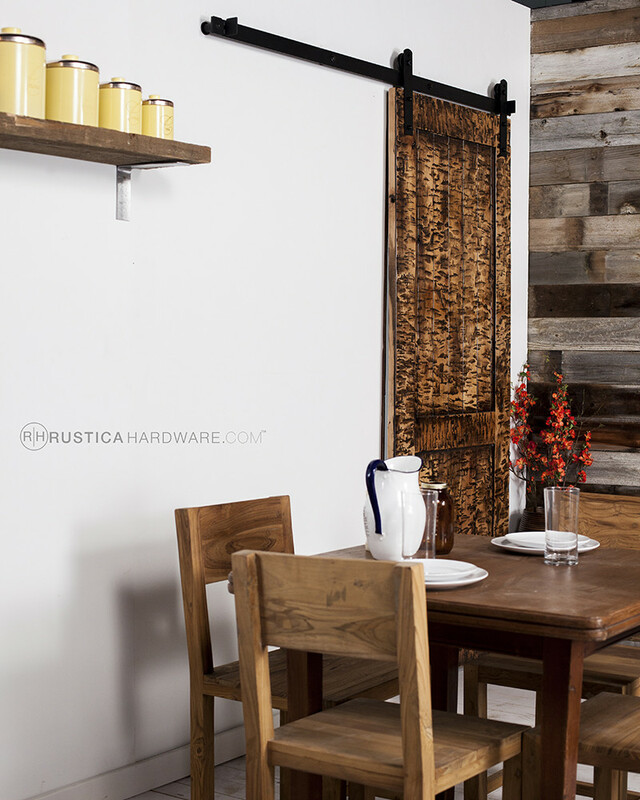 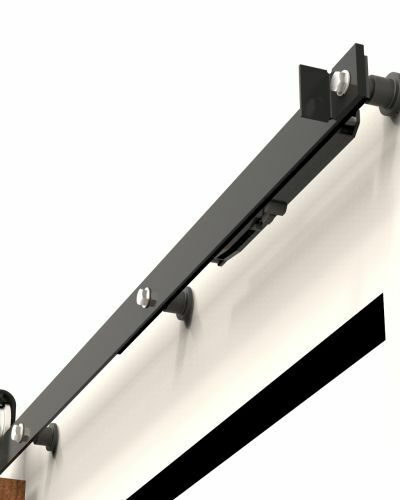 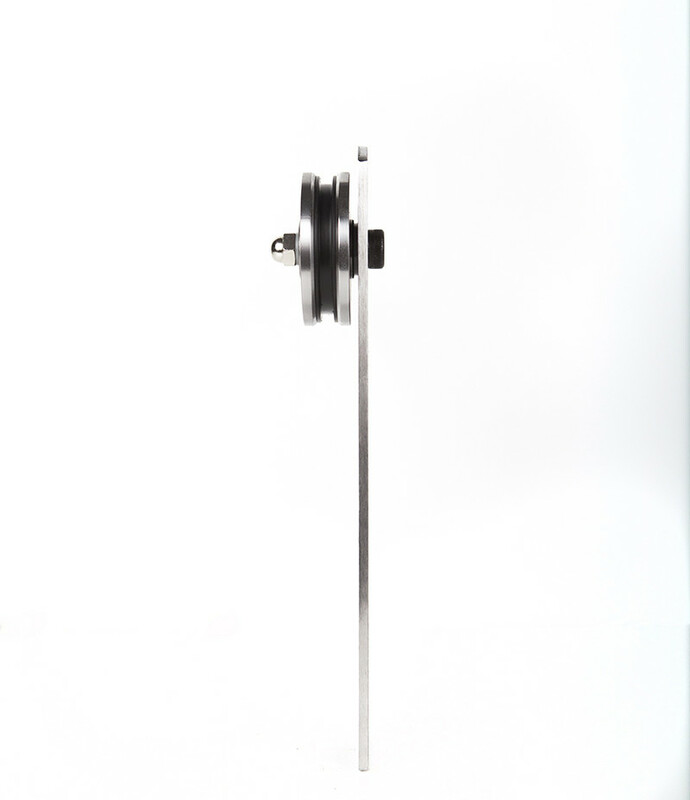 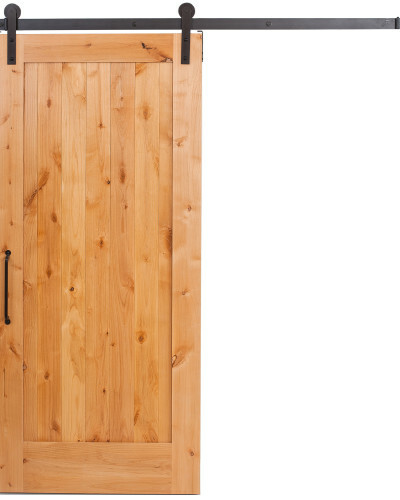 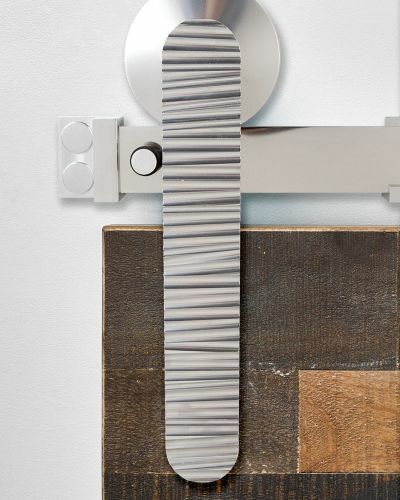 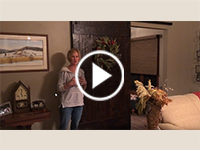 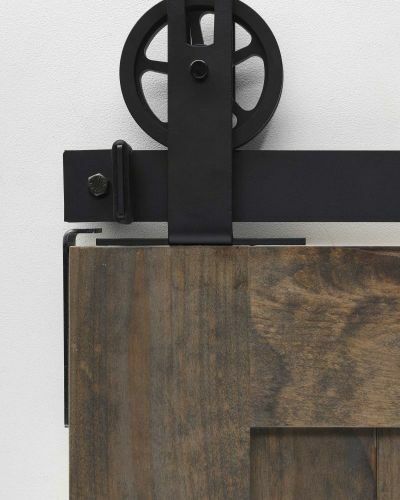 This standard Ultra Modern barn door hardware is one of our best-selling Flat Track hardware systems. 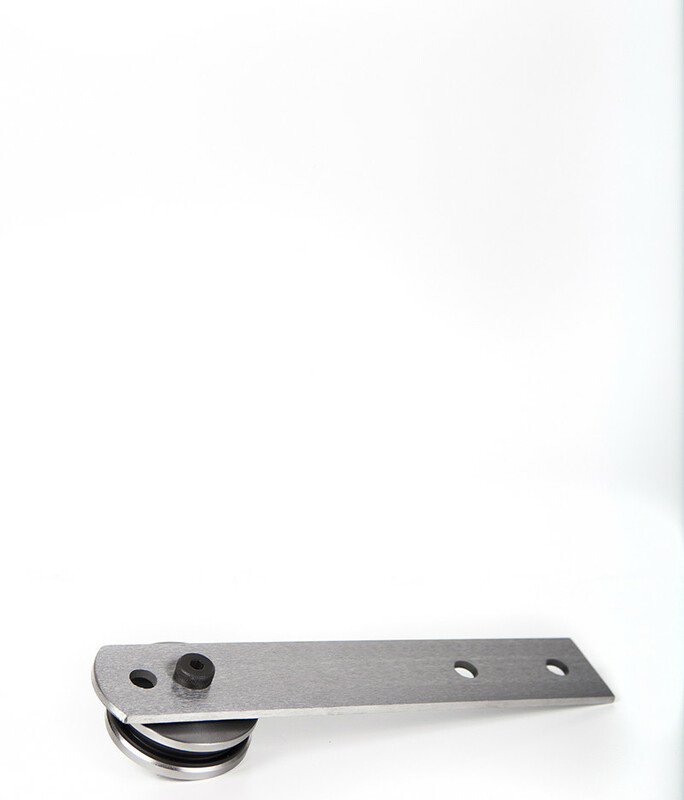 With an exposed wheel and signature rounded top edge, this sleek hanger adds designer style to your door. 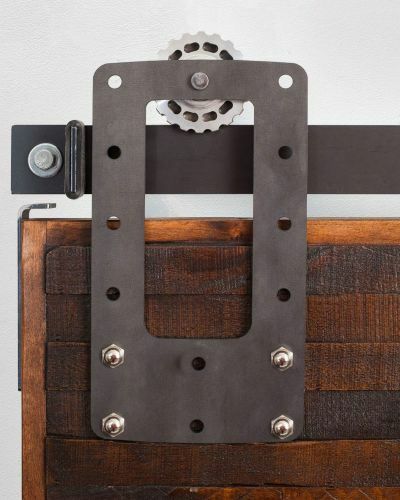 Hanger mounts to the face of the door. 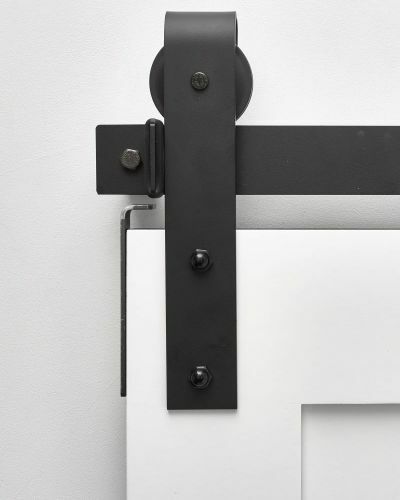 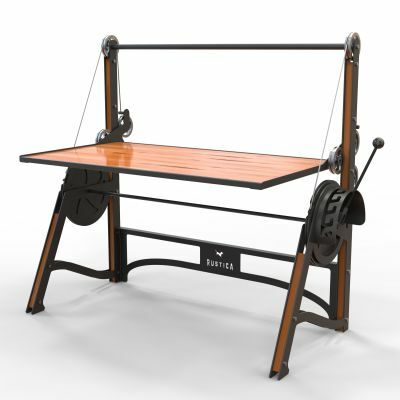 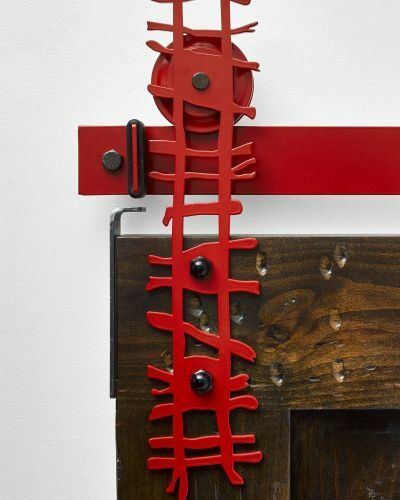 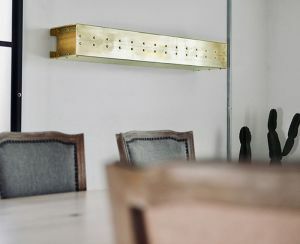 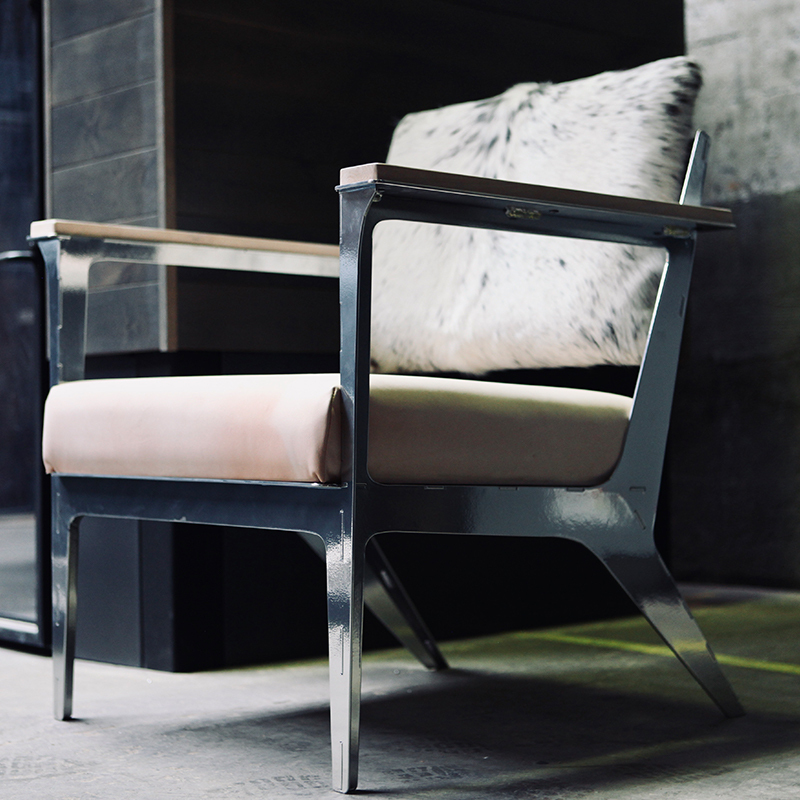 This modern hardware has as weight capacity of 200 lbs per pair of hangers. 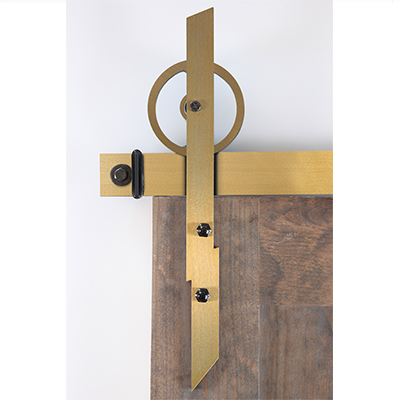 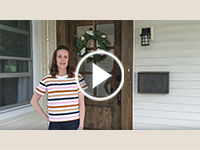 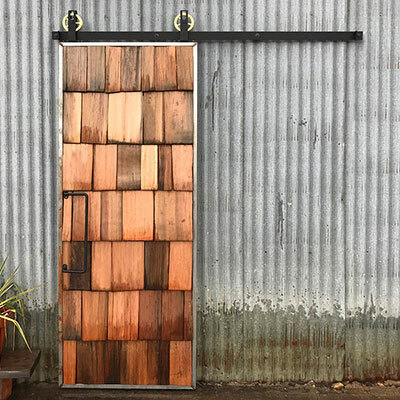 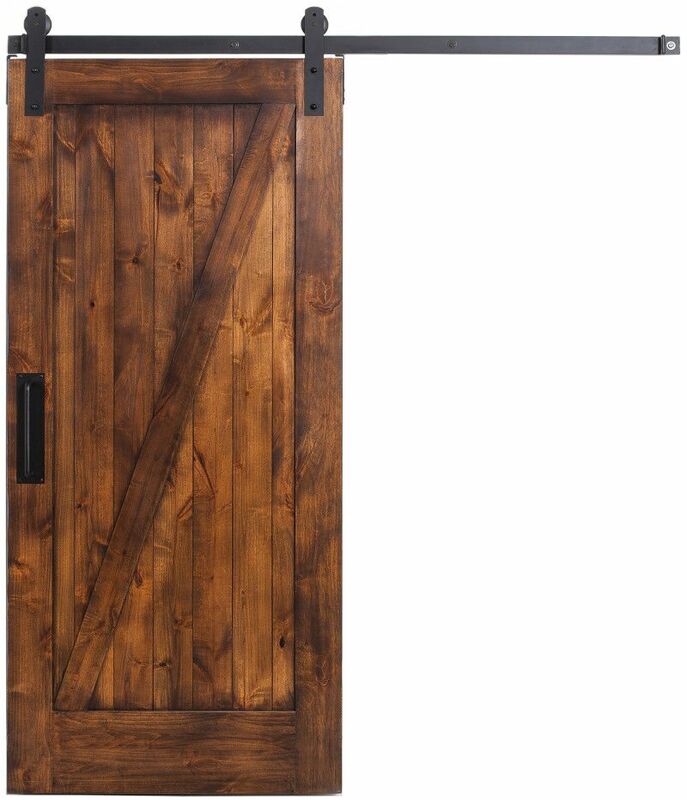 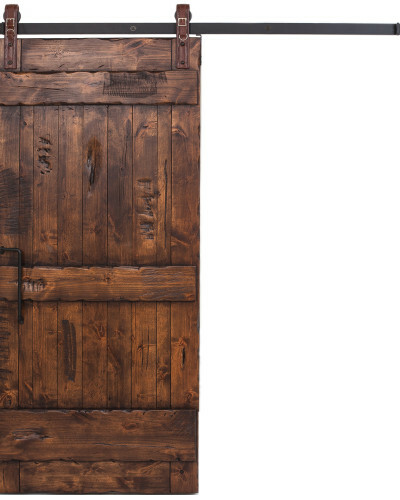 Pair this hardware with more modern door designs like our Modern Slab, Pearce, and 5 Panel barn door styles. 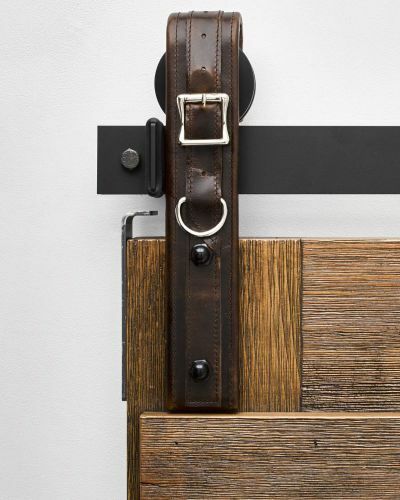 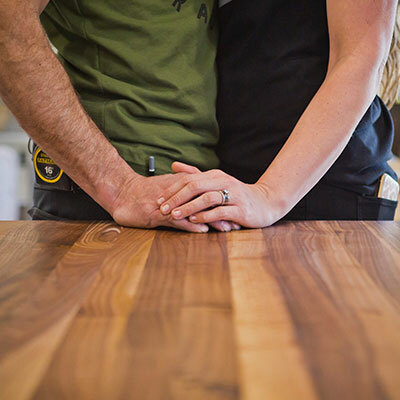 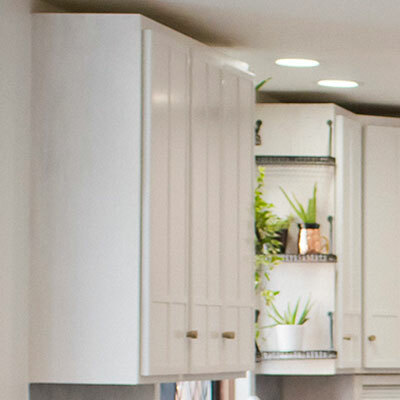 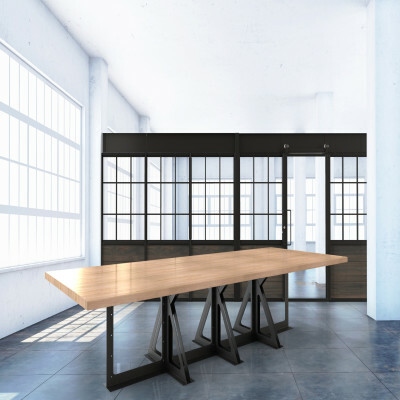 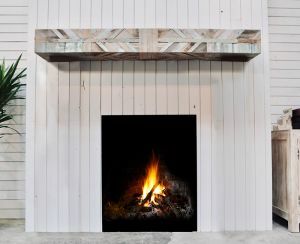 Shop a similar streamlined look in our Ultra Modern Top Mounted hardware kit.